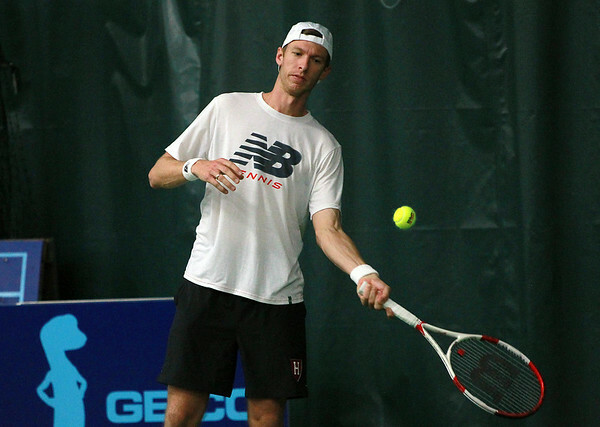 Boston Lobsters tennis star Eric Butorac warms up prior to a match against the San Diego Aviators at the Manchester Athletic Club on Wednesday evening. DAVID LE/Staff photo. 7/16/14.